KitchenAid 6 Quart Mixer Just $253.74!PJs & Slippers For 3 Kids Just $32.55! You are here: Home / Great Deals / Christmas Deals / KitchenAid 6 Quart Mixer Just $253.74! KitchenAid 6 Quart Mixer Just $253.74! 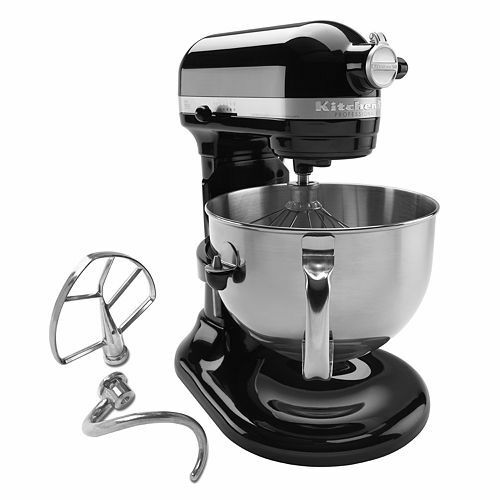 Head over to Kohls.com for a Super Sweet deal on the 6 Quart KitchenAid Stand Mixer! There is a $50 Mail-In Rebate so net price is $253.74! Plus you’ll earn $60 Kohl’s Cash! This item qualifies for FREE Shipping, but there is a $7.50 surcharge (probably because of the weight)! You may want to opt for FREE in-store pickup (if available near you)!